"YOU WERE MENTIONED IN DISPATCHES/IN THE POSTSCRIPT, ANYWAY"
There’s a big new post in the works for sometime in the near future. Until then, please enjoy my collaboration with my good friend Jamie S. Rich on his ongoing "Permanent Records" blog project. 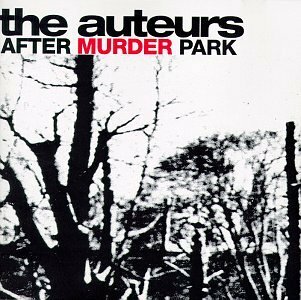 In the current episode, which guest-stars yours truly, we discuss our impressions and experiences of The Auteurs’ great album After Murder Park. Our electronically epistolary mullings can be found here.